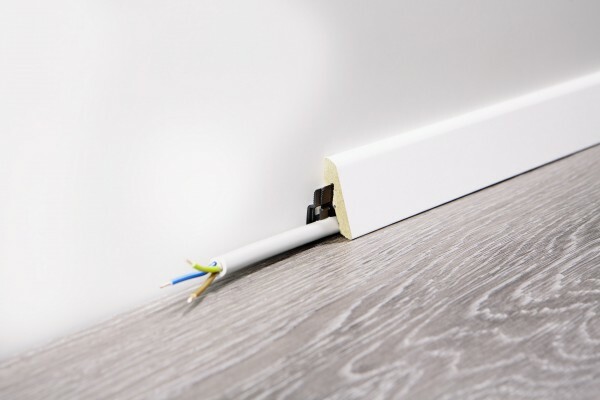 Product information "Skirting board laminate LA052 18,5 x 38,5 x 2400 mm"
The 18.5 / 38.5 MDF skirting is a slim and slanted skirting which can be used everywhere as a discreet skirting. It is an unobtrusive design which matches the room design, presenting an ideal finish. When painting the skirting, use standard masking tape. Make sure the masking tape is removed after a maximum of 16 hours.